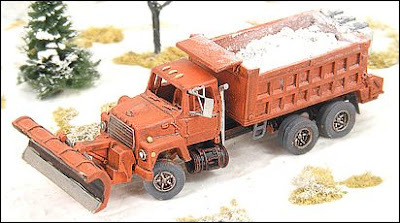 Some customers have mentioned that we haven't highlighted any N-Scale (1/160th) models in a long time. And they are right! We thought that this one may be very appropriate for many around this time of the year. This is the same model that got voted the N-Scale Vehicle of the Year when it was released! What N-Scale vehicles would you like to see GHQ release? We have a few new ones that will be out in the near future!